This week's Saturday Quads -- our last event of the year -- consisted of five quads and twenty players. In the fist quad NM Oliver Chernin won with 2.5 out of 3 points, allowing him to clinch first place. 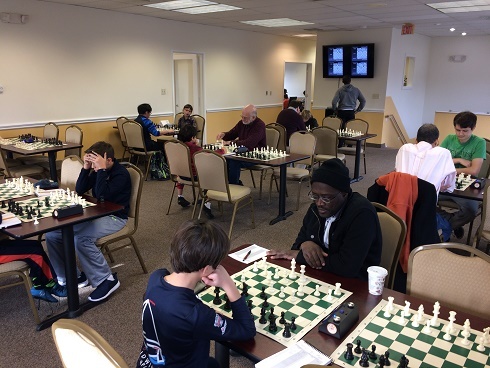 Kenneth Moody placed first in quad two by playing a perfect tournament, winning all three of his games. Guy Colas also won all of his matches, making him the winner of the third quad. 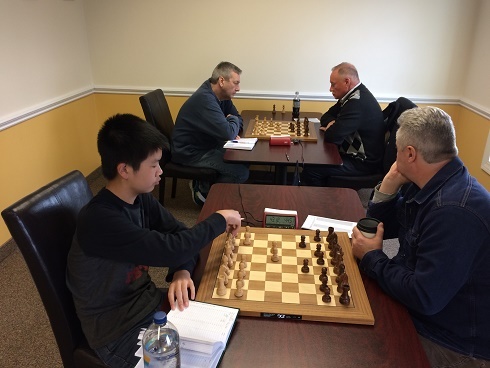 Will Frank, a new-comer to CCFC, won the third quad. 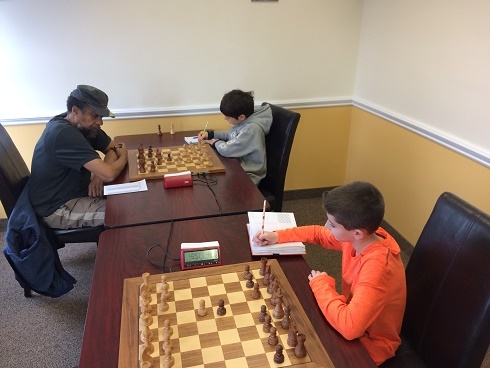 Finally in quad five, playing in his first ever tournament, it was Andrew Ulmer who won with a perfect 3/3 score! Congatulations to all the winners, and thank you to everyone that came out!